Buzz Lightyear Space Ranger Spin is a very unique attraction at the Magic Kingdom. It is by far the most interactive ride, perhaps at any Disney park. As a space ranger cadet you are sent on a mission to help Buzz Lightyear fight Emperor Zurg. To do so, you board your ship and using light guns mounted on the vehicle, shoot at targets throughout the ride. Points are accumulated depending on the targets hit, and at the end of the ride you can get a photo with your score. Location: On the right side of Tomorrowland (as entering from Main Street), before the Galaxy Palace Theater. Open/Close: Open and close with the park. This attraction is open during both morning and evening Extra Magic Hours. Wait Times: The omnimover ride-system used on this attraction is very high capacity, and even with FastPass the standby line moves quickly. Queue Description: The interior queue is a tightly wrapped corral, but the walls are thoroughly themed to the attraction. Audio and some moving figures (particularly Buzz Lightyear who explains what needs to be done) add to the atmosphere. Health Restriction: Should be none. Level of activity can be controlled by rider. Ride Access: The queue is accessible to wheelchairs and ECVs. Wheelchair Transfer: There is one unit in the ride which can hold wheelchairs. Riders of ECVs will need to transfer to an available wheelchair to use this unit. Attraction CMs will wait until this unit becomes available and then pause the ride while you load. This may be the only attraction where riders hope for such a pause as it allows them more time to shoot at targets and accumulate points. Audio: Handheld captioning devices for this attraction are available from Guest Services. Weight and Size Issues: Should not be an issue, ride units have plenty of room. At this location: When the park opened in 1971, guests were presented with a construction wall where Buzz Lightyear Space Ranger Spin now is. The attraction under construction was If You Had Wings, and sponsored by Eastern Airlines when it opened on June 5, 1972, it was one of the few free attractions in the park (those were the days when tickets were required for most rides). An omnimover attraction from the very beginning, If You Had Wings was essentially a commercial for Eastern Airlines and transported riders past scenes and films of destinations served by them. In 1987 this sponsorship lapsed and Delta Airlines became the new sponsor. While working on a new concept for the space the attractions name was changed to If You Could Fly. In June 1989 the ride reopened after a brief closure as Delta Dreamflight. The ride system was the same, but now guests were presented with the history of aviation. When the Delta sponsorhip ceased at the end of 1996, the name was changed to Take Flight. The ride finally closed for good on June 5, 1998 for construction of Buzz Lightyear Space Ranger Spin. 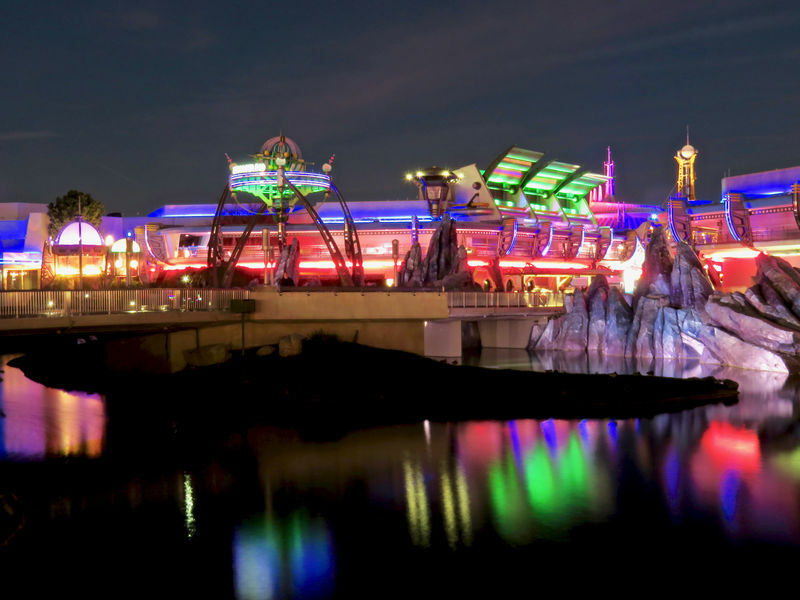 The Attraction's History: The attraction remains essentially unchanged since it opened in 1998. Rankings: Depending on your score, you will achieve one of seven Space Ranger ranks: Space Cadet (1,000 to 9,999 points), Space Scout (10,000 to 99,999), Space Ranger 1st Class (100,000 to 199,999), Planetary Pilot (200,000 to 299,999), Space Ace (300,000 to 599,999), Cosmic Commando (600,000 to 899,999), and Galactic Hero (900,000 to 999,999).